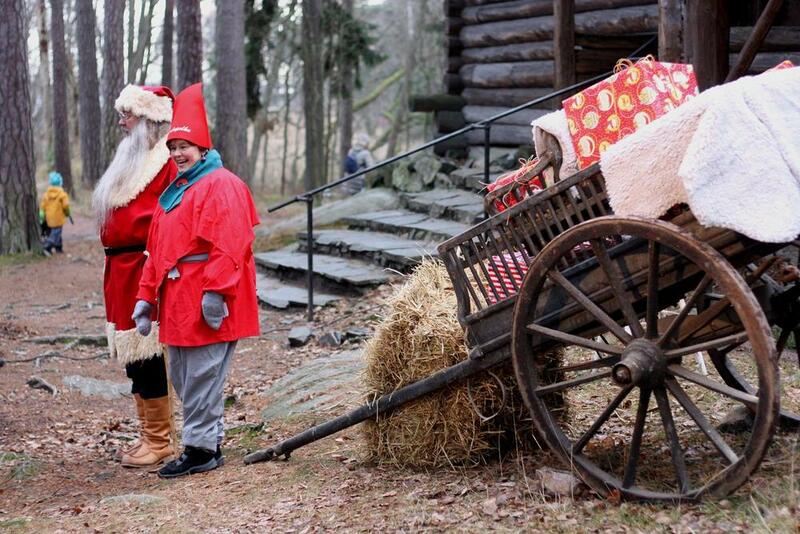 The Seurasaari Christmas Path (Joulupolku) is a free pre-Christmas event for families with children in the Helsinki region, offering visitors peeks into the fairy-tale world, old-time Christmas and the message of the first Christmas. In 2019 the Christmas Path is being organised for the 24th time. Mrs. Jenni Haukio, the spouse of the President of the Republic, is the patron of the event and the parties responsible for the arrangements are the Joulupolku Association and hundreds of volunteers, who prepare the Christmas Path as a present to the children in the Helsinki region. There are several different kinds of events along the Christmas Path, including play and sing-song, a Christmas play, face painting, horse cart driving, a whipsled and a straw labyrinth, a candle path, a fire exhibition, a slow-burning log fire and bun roasting over a campfire as well as Christmas porridge for the children. Animals of the forest walk around the Christmas Path handing out gingerbread to the children while Father Christmas and Old Lady Christmas listen to the children’s gift wishes. The programme of Seurasaari Christmas Path in 2018. Besides hundreds of volunteers, a great number of organisations, educational establishments, the church, companies and communities have all participated in the voluntary work, which enables the Christmas Path event. There is no parking space for private cars so it is best to use public transportation. For example, buses 24 and 24S take visitors to Seurasaari on the day of the event. Please check the Reittiopas route planner for more information. Christmas porridge will be offered to the children, so be sure to bring spoons and plates with you. It is also a good idea to bring along a flashlight, which can light up the wonders of the forest in the twilight. It is possible to light a candle of peace by the Christmas Path. The children may also “give up the dummy” on the Christmas Path. Be sure to bundle up warmly. Visitors of the Christmas Path are served by the restaurant and the kiosk on Seurasaari as well as by a few campfire sites and spots for grilling sausages. On the island, there are also some nice places for eating your own packed lunch. Warm clothing and Christmas spirit help enjoy the Christmas Path tour!